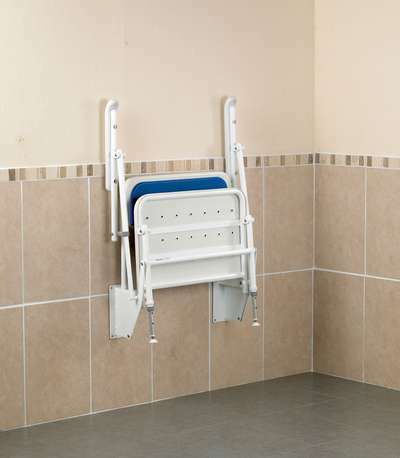 Wall Mounted Shower Seat Extra Wide Bariatric. 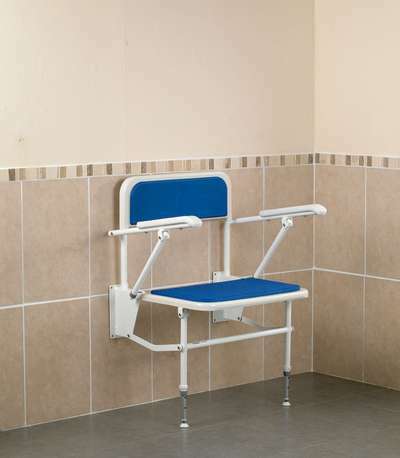 With a maximum user weight of 222kg (34¾st) and an extra wide seat, these shower seats are suitable for a wide range of users. 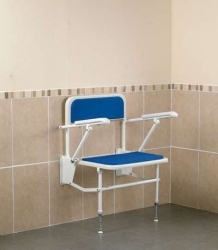 Constructed from a combination of galvanised steel and aluminium with a white powder coating to give a durable and attractive finish, these seats fold against the wall when not in use. Pads are supplied to provide additional comfort and warmth. The height adjustable legs give a seat height between 440 and 560mm (17¼ and 22˝).